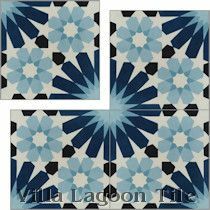 Take every measure to protect your cement tile from stains until it is sealed and waxed. 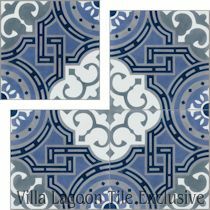 Accidents happen and the tiles even after sealing may get stained. Stains should be treated as soon as possible. Soda, wine, salad dressings, food spills, etc. 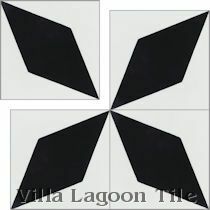 should not be left to sit on the tile as they can eventually penetrate through the sealer and stain the tile. Before attempting to remove the stain take time to understand what the stain is. ORGANIC: Coffee, tea, tobacco, food, cosmetics, plant, food, blood, wine. BIOLOGICAL: Mildew, mold, fungus, algae. OIL-BASE: Grease, cooking oil, food stains, tar, body oil. Poultice is a method used to remove stains by reabsorbing the stain using a medium. This is different than just cleaning with an agent. Simply put, poulticing it is soaking the stain out of the tile using a material such as a paper towel or cotton balls in combination with Miracle Sealant Poultice Plus Powder. Mix Poultice Plus powder with the chemical you have selected, to make a paste-like substance. Apply the paste to the stain and do not let any excess drip or spill onto adjacent clean areas. The paste should have a consistency similar to peanut butter. The paste should be applied approximately 1/8 to 1/4 inch thick overlapping the stain by 1/2 inch. Cover the area with plastic wrap to prevent dehydration and secure the edges down with non-marking tape. Let the poultice completely dry. As the poultice dries it will pull the stain from the area into the paste. Drying time is usually 24-48 hours depending on the type of poultice being utilized. If the stain has improved, re-apply the poultice. Multiple applications may be required. Keep in mind that your stain may just be in the sealant if you used a top-coat type sealant. If that is the case, I'd try drugstore Hydrogen Peroxide first. Same stuff as in teeth whiteners. Soak a papertowel and let it sit on the stain. If that doesnt help, try scraping away a bit of the sealant to see if you can just sand or scrape it off along with the stain. 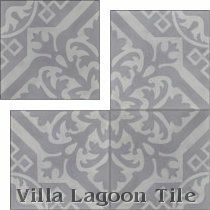 Then re-apply sealant to that one tile. These tips below are from the Miracle Sealants company website. First try excess water and soft bristled brush then, vacuum water away. Towels may only spread the dirty water. If this does not work well try light sanding with water...again vacuum away water. Use Miracle Sealants GCFR- Dilute 1 part GCFR: 8 parts water - Follow product instructions. Poultice with 35% Hydrogen Peroxide. Let set 20 minutes, check, reapply if needed. The ideal way to clean up ordinary dust, grime and pet hair is the automatic floor robot called MINT. Mint not only has a sweep function, it has a wet mop function too. See how Mint performs in our videos.